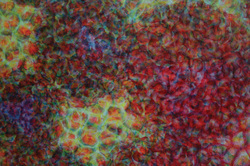 Janet Kurnatowski is pleased to present “Configuration Spaces”, new paintings by William Holton from June 11- July 11, 2010. The gallery will be closed the Fourth of July weekend. This will be Mr. Holton’s first one-person exhibition with Janet Kurnatowski. Please join him at the open- ing reception on Friday, June 11th from 7-9pm. William Holton is the recipient of a NEA grant. Holton exhibits nationally and has had exhibits in Knoxville Museum of Art, TN, Peninsula Fine Arts Center, VA, Gardner Gallery, GA, Louis Meisel, Soho NY. His work has also been reviewed in The New York Times. He received his MFA from University of Pennsylvania. For more information or images please contact the gallery.